A massive winter patch is on the way for Stunlock Studios’ Battlerite. On December 12, the patch will not only launch a four-week “Yuletide” event, but will also introduce the game’s latest champion, Shen Rao. 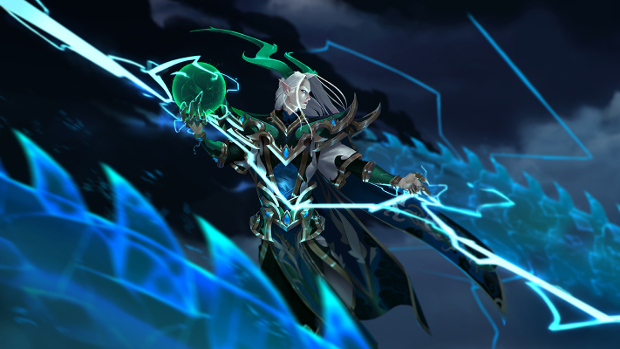 A ranged champion, Shen Rao is a dragon who once defied the powers of the Void. Unfortunately, he was defeated and sealed in a human body, resulting in a reduction of his powers. Still he retains some of those abilities and can control lighting, creating violent thunderstorms. Shen Rao will be added to both Battlerite and Battlerite Royale upon his release. As for the previously mentioned “Yuletide” event, it doesn’t just include a bunch of winter-themed content. It also adds two more Champions, Lucie and Poloma. That said, there is plenty of winter-themed content, including a new map, cosmetics, emotes, and more. Details on the event can be found on the Battlerite site.